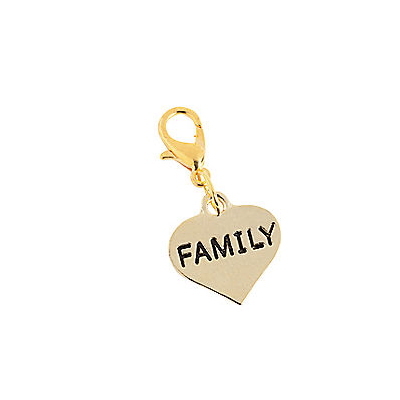 This heart shaped family charm will keep your loved ones close to you. The metal, gold-tone heart shaped charm says "FAMILY". The family charm is 0.60" wide and includes a matching lobster type clasp to fasten the charm to your bowling shoes.